“Our movement rests on a foundation of unity: our Agreement to End Hostilities…. 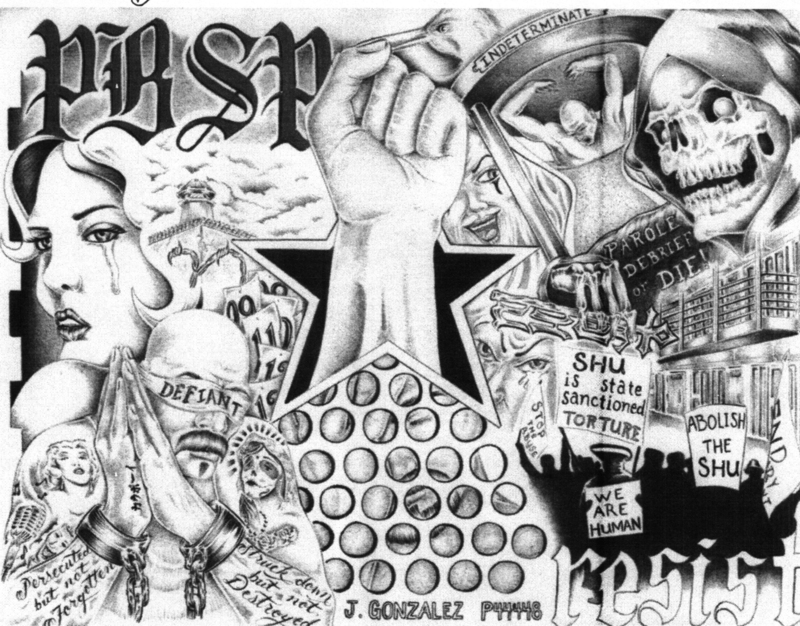 “From this foundation, the prisoners’ human rights movement is awakening the conscience of the nation to recognize that we are fellow human beings.… [W]e recognize that achieving our goal of fundamentally transforming the criminal justice system and stopping the practice of warehousing people in prison will be a protracted struggle. We are fully committed to that effort, and invite you to join us. Being recognized as human (see our pamphlet: Pelican Bay Hunger Strikers: “We want to be validated as human”) is now explicitly an ongoing means to the fundamental transformation of “the criminal justice system” which “warehouses” capitalism’s unemployed. The torture of extreme isolation did not break you. In opposing it, you discovered the power of our nature as human social beings, thinking social beings, which became the foundation for both thought and action. The “Agreement to End Hostilities” is a very practical step. But part of its power, to continue “awakening the conscience of the nation,” is that it speaks to many who hear in it their own yearning to be recognized as human. The “Agreement” takes the determination of who “I” am away from the accidental and circumstantial conditions of being born in a racist society, being poor, etc., and asserts that my connections with other prisoners, no matter their race or their circumstances, will be established by me and not the guards, not the power structure, not prevailing expectations. 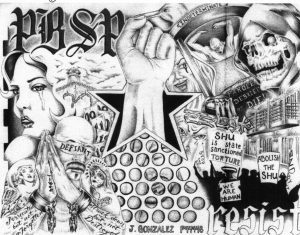 From being representatives of SHU prisoners, to becoming “beacons of collective building,” PHRM’s humanism is indigenous to the movement. For me, what is new with the “Blueprint” is the way it expresses the ongoing nature of the movement through an Idea that transcends any one particular step of the struggle. Isn’t this moment of transition the time to think about the humanism that animates the movement? Does it not demand a voice beyond its expression in the next activity? There are moments in the movement that, as the “Blueprint” states, call for “…tak[ing] a protracted internal and external retrospective analysis….” Wouldn’t such analysis lead one to realize that the persistent drive to be self-determining is the most concrete dimension of being human? Wouldn’t it include the analysis of the animating principle through which a movement can continue? In other words, self-determination, as both growing ourselves and changing the world through the struggle to overcome the next obstacle, is as well the self-determination of the Idea. Humanism as the self-determining Idea is most likely taken for granted, not recognized as the concrete that can determine our future. How many times have we seen movements derailed or truncated into electoral politics, or making new laws, or other urgent tasks as though that alone is the concrete? Can we allow ourselves to “forget” that every action is a particular form of the idea of freedom, which is what makes us human? Can a new generation, whether younger prisoners or other movements, afford to start all over, facing new forms of unfreedom from the standpoint of pure activism? What stands out now is that the enduring idea takes on new forms. This idea can never directly merge, or be exhausted, in the new particular situation. Even though it must take particular forms, to hold fast to its enduring power is reaching to make the ideal real and concrete in our everyday lives. The idea that is not exhausted in any particular struggle seems abstract, a “beyond,” and can be dismissed as not concrete. And yet this very idea, humanism, keeps re-emerging as the principle in the next struggle. The ever-new forms of humanism are, after all, an expression of the vision of the new society not as a utopia, but where we are all recognized and needed as human beings: human not as a “given,” or merely “natural,” but mutually recognized as self-determining free beings. At this crucial moment of rethinking, I would very much like to hear your views on the idea that animates the movement and speaks to all other movements. We ask you to share your ideas on your humanism, how it can make a difference in reaching for a totally new future for all of us. 1. ↑ See “California prisoners battle barbaric U.S. ‘justice’ system,” News & Letters, Nov.-Dec. 2015. Fruitvale Station, PO Box 7359, Oakland, CA 94601-3023. Freedom Outreach asks that you cover the cost of mailing, by sending $11.50 or the equivalent in postage stamps. News & Letters will send the 8-page overview to anyone who asks. 3. ↑ Charisse Shumate was the lead plaintiff in Shumate v. Wilson challenging medical neglect and abuse in California women’s prisons. She was a founder of the California Coalition for Women Prisoners and a frequent contributor to its publication, The Fire Inside (FI). “Two perspectives on ‘I’ that is ‘we’: Charisse Shumate and Hegel,” appears in FI #17, March, 2001. A reprint is available from News & Letters. This entry was posted in Articles and tagged Ashker v. Brown, Danny Troxell, End Solitary Confinement, Faruq, Freedom Outreach, Gabriel R, George Franco, George Ruiz, Humanism, Juan Gonzalez, Luis Esquivel, News & Letters, Paul Redd, Pelican Bay Hunger Strikers: "We want to be validated as human", Prisoner Human Rights Movement Blue Print, Richard Johnson, Security Housing Units, self-determining idea, shu, Shumate v. Wilson, Sitawa Nantambu Jamaa, The Fire Inside, Todd Ashker, Urszula Wislanka. Bookmark the permalink. So, the letter is addressed precisely to those who have posed the question of freedom in the first place (in this case, prisoners, their families and supporters), but now to invite them to develop their actions and thoughts to their fullest meaning, in the quest for a new society. Here we thus witness the double movement from practice to theory and from theory back to practice, but now aware of the meaning contained in it, and thus ready to make a leap forward.